The American population, similar to other industrialized nations, has become increasingly overweight and obese, with some estimates stating that 2/3rds of our population will be obese in the next 20-30 years. 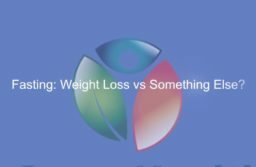 In our experience, there is tremendous confusion regarding the “right diet,” and also on how to sustain some of these diets so that the “Yo-Yo” dieting phenomenon does not occur. Specifically today we will be discussing how diet affects bacteria in our gastrointestinal tract, that are now being associated with obesity. 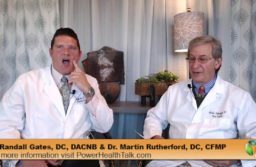 In today’s broadcast we will attempt to demonstrate that weight loss goes far beyond simple calorie counting, and how this issue is far more complex than we once thought. 1. Subjective satiety and other experiences of a Paleolithic diet compared to a diabetes diet in patients with type 2 diabetes. Jönsson T, Granfeldt Y, Lindeberg S, Hallberg AC. Nutr J. 2013 Jul 29;12:105. doi: 10.1186/1475-2891-12-105. 2. Dietary intervention in acne: Attenuation of increased mTORC1 signaling promoted by Western diet. Dermatoendocrinol. 2012 Jan 1;4(1):20-32. doi: 10.4161/derm.19828. 3. Comparison with ancestral diets suggests dense acellular carbohydrates promote an inflammatory microbiota, and may be the primary dietary cause of leptin resistance and obesity. Diabetes Metab Syndr Obes. 2012;5:175-89. doi: 10.2147/DMSO.S33473. Epub 2012 Jul 6. 4. Paleolithic diets as a model for prevention and treatment of Western disease. Am J Hum Biol. 2012 Mar-Apr;24(2):110-5. doi: 10.1002/ajhb.22218. Epub 2012 Jan 19. 5. Over-stimulation of insulin/IGF-1 signaling by western diet may promote diseases of civilization: lessons learnt from laron syndrome. Melnik BC, John SM, Schmitz G.
Nutr Metab (Lond). 2011 Jun 24;8:41. doi: 10.1186/1743-7075-8-41. 6. A paleolithic diet is more satiating per calorie than a mediterranean-like diet in individuals with ischemic heart disease. Jönsson T, Granfeldt Y, Erlanson-Albertsson C, Ahrén B, Lindeberg S.
Nutr Metab (Lond). 2010 Nov 30;7:85. doi: 10.1186/1743-7075-7-85. 7. Beneficial effects of a Paleolithic diet on cardiovascular risk factors in type 2 diabetes: a randomized cross-over pilot study. Jönsson T, Granfeldt Y, Ahrén B, Branell UC, Pålsson G, Hansson A, Söderström M, Lindeberg S.
Cardiovasc Diabetol. 2009 Jul 16;8:35. doi: 10.1186/1475-2840-8-35. 8. Cardiovascular disease resulting from a diet and lifestyle at odds with our Paleolithic genome: how to become a 21st-century hunter-gatherer. O’Keefe JH Jr, Cordain L.
Mayo Clin Proc. 2004 Jan;79(1):101-8. Review. 9. Intestinal microbiota and probiotics in celiac disease. de Sousa Moraes LF, Grzeskowiak LM, de Sales Teixeira TF, Gouveia Peluzio Mdo C.
Clin Microbiol Rev. 2014 Jul;27(3):482-9. doi: 10.1128/CMR.00106-13. 10. Influence of diet on gut microbiota, inflammation and type 2 diabetes mellitus. First experience with macrobiotic Ma-Pi 2 diet. Fallucca F, Porrata C, Fallucca S, Pianesi M.
Diabetes Metab Res Rev. 2014 Mar;30 Suppl 1:48-54. doi: 10.1002/dmrr.2518. Review. 11. Gluten and wheat intolerance today: are modern wheat strains involved? de Lorgeril M, Salen P.
Int J Food Sci Nutr. 2014 Aug;65(5):577-81. doi: 10.3109/09637486.2014.886185. Epub 2014 Feb 13. 12. ‘The way to a man’s heart is through his gut microbiota’–dietary pro- and prebiotics for the management of cardiovascular risk. Tuohy KM, Fava F, Viola R.
Proc Nutr Soc. 2014 May;73(2):172-85. doi: 10.1017/S0029665113003911. Epub 2014 Feb 4. 13. Glyphosate, pathways to modern diseases II: Celiac sprue and gluten intolerance. Interdiscip Toxicol. 2013 Dec;6(4):159-84. doi: 10.2478/intox-2013-0026. Review. 14. Neutralization of the antimicrobial effect of glyphosate by humic acid in vitro. Shehata AA, Kühnert M, Haufe S, Krüger M.
Chemosphere. 2014 Jun;104:258-61. doi: 10.1016/j.chemosphere.2013.10.064. Epub 2013 Nov 20. 15. The effect of glyphosate on potential pathogens and beneficial members of poultry microbiota in vitro. Shehata AA, Schrödl W, Aldin AA, Hafez HM, Krüger M.
Curr Microbiol. 2013 Apr;66(4):350-8. doi: 10.1007/s00284-012-0277-2. Epub 2012 Dec 9. 16. Effects of Roundup(®) and glyphosate on three food microorganisms: Geotrichum candidum, Lactococcus lactis subsp. cremoris and Lactobacillus delbrueckii subsp. bulgaricus. Clair E, Linn L, Travert C, Amiel C, Séralini GE, Panoff JM. Curr Microbiol. 2012 May;64(5):486-91. doi: 10.1007/s00284-012-0098-3. Epub 2012 Feb 24. 17. Bacterial glyphosate resistance conferred by overexpression of an E. coli membrane efflux transporter. Staub JM, Brand L, Tran M, Kong Y, Rogers SG. J Ind Microbiol Biotechnol. 2012 Apr;39(4):641-7. doi: 10.1007/s10295-011-1057-x. Epub 2011 Nov 17.